Every traveler should document his or her trip through photography. Whether to share your experience with those back home, relive personal memories or make some quick cash (Google “travel photo contests” and you will not be disappointed), taking pictures, a lot of pictures, should be a priority. In this technological age with affordable cameras, no one has the excuse to not be a photographer. As long as you have a basic digital camera and the willingness to be creative, your pictures will look like those found in National Geographic in no time. Just follow these ten simple tips and you will soon have your favorite pictures to last a lifetime. You don’t have to sit down and read through the massive instruction book, but most digital cameras have creative tools that can give your photos that artistic edge. Skim the text and then play with the functions in your free time. Whether it be on the plane, train, bus, boat or camel en route to your next destination, make sure you know the ins and outs of the camera before your arrival. 2. Always be ready and raring. After hours of becoming familiar with your camera, the battery is most likely running low. Get into the habit of putting your battery on the charger whenever you walk into the room. If traveling overseas, be sure to have outlet adapters so you won’t miss out on any great pics due to a dead battery. And never forget to grab the camera (with the battery inside!) each time you leave your room. Although your camera may fit perfectly snug in the back pocket of your Levi’s, that will not shield it from the wear and tear of travel. Look for a case with a sturdy outer cover that will provide protection if dropped on a rock in the Grand Canyon or fallen on when skiing the Alps. Camera flashes are not only for indoors, they can be useful in all types of settings. While shooting outdoors, the sun is a major deciding factor on the outcome of a picture. Its harshness can create awkward shadows on your subject, but using the flash can eliminate these dark areas. If the majority of light is coming from behind the subject, such as a picture in front of a sunset, always use the flash to avoid a dark silhouette. Also don’t get too accustomed to using the flash, cloudy days and early morning pictures have great lighting that can create a soft, natural glow. Getting close can reveal amazing details of texture or emotion. Pick one element and make it the main focal point of the picture. Then, take one step back and click the picture (most camera’s will take a blurry picture if they’re held any closer). Also, the closer you are the less you need to use your zoom. Zooming results in low resolution and eliminates an interesting angle. So burn those few extra calories by walking right up to your focal point for your snapshot. Adding a little glimpse of life to your photos makes them realistic and interesting. Find some small facet of action within your lens when snapping a picture. Children running across a famous street or a bird flying in the sunset of a beach will give the photo an extra charm to make it original and your own. 7. Don’t be vertically challenged. It seems that many of us forget to rotate the camera to its side, but the truth is many things look better vertical. So don’t forget to turn that camera sideways for the Eiffel Tower or anything else that stands perpendicular to the horizon. While shots of the landscape and historical matter are important to have in your photo albums, pictures that you are in will more likely become the ones you will cherish. If traveling in a small group, avoid take pictures with an outstretched arm that cut off the top of someone’s head. Instead, whenever you see someone administering this technique, offer to take their picture and ask them to take one in return. This method is also extremely rewarding while traveling alone. A few simple clicks of the mouse can turn a good picture into a great picture. Use your computer’s existing software (Mac’s iPhoto works fine) or download a program to get started (Google’s Picasa is a free, basic option that is a good start for beginners). Play with the contrast, brightness, saturation and sharpness to find what you think increases the appeal of a picture. 10. Take a lot of pictures. Make sure to have invested in a large memory card that can hold a lot of pictures, and just keep clicking! The great thing about digital cameras is the ability to delete the bad ones later on. 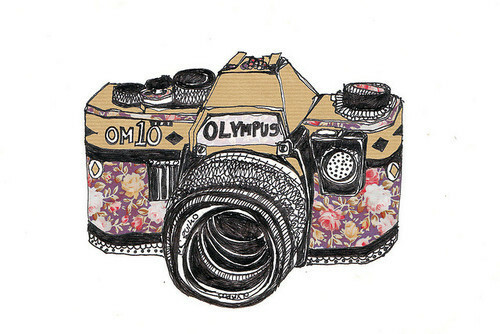 So take as many pictures as you possible can to capture all of the great moments you experience while on your travels.